Oops, all the bottles fell. Nope, can't get a free drink. 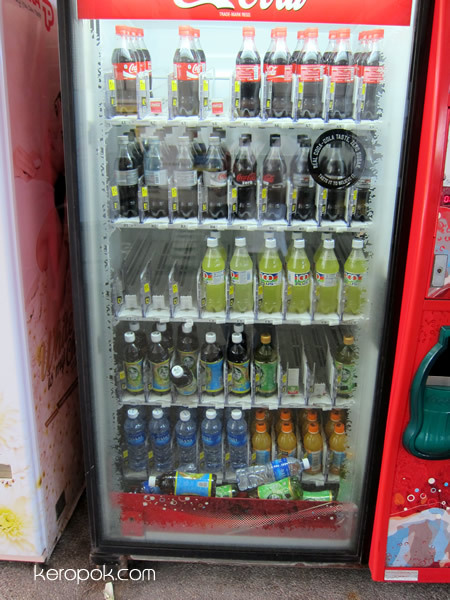 The drinks are dispensed from the middle of the machine. Fire Hydrant | Wanna be a fire man?